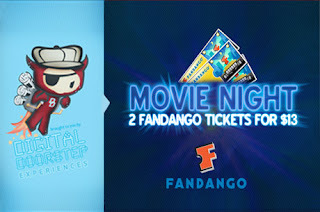 Right now on Eversave, you can get two Fandango movie tickets for just $13.00! This is a $34 value. You can buy up to 3 "Saves", so this is an easy way to get some holiday shopping done (or started)!